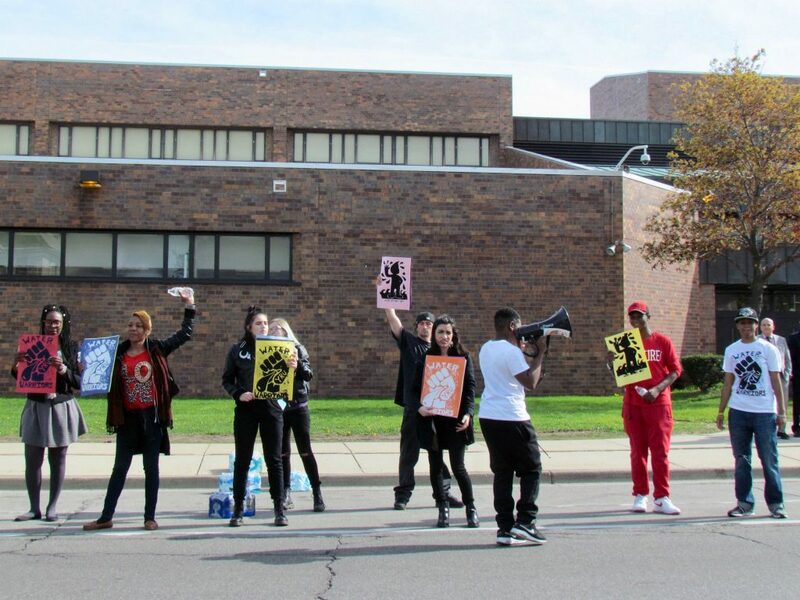 Demonstrators calling for clean water hold signs outside of North Division High School. Photo by Jabril Faraj. 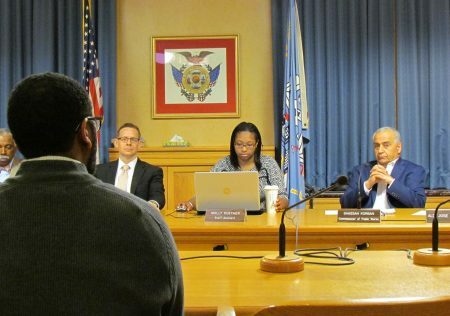 Common Council President Ashanti Hamilton addresses the city’s Water Quality Task Force. Photo by Jabril Faraj. 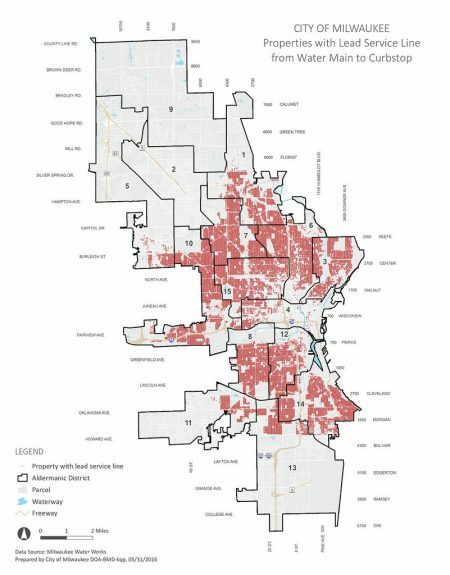 This map shows the lead lateral service lines in Milwaukee. Photo courtesy of FLAC.